Want to write a good story? Tell the truth! Most people know the components of the story arc. First comes the exposition, then the rising action, which leads to the climax, followed by the falling action and finally the resolution (phew that was a mouthful). This arc is what my lovely second grade teacher taught me, and it’s where every great narrative starts, but good stories are not as formulaic as this mold would suggest. Tales are meant to transport their audience. Invite them to connect to characters and relate to their struggles and successes. The basis of all entertainment is rooted in this same notion of enticement. Get the audience to engage and you are well on your way to a powerful piece. In choosing the most pivotal ingredient in a good story, I couldn’t ignore a story’s need to connect with diverse audiences. This led me to the conclusion that good stories are universal. In fact, every good story relates to a human truth. In my opinion, the most effective medium for conveying human truths would have to be movies. History’s most beloved cinematic feats are all rooted in these universal feelings. For instance, the Sound of Music was able to touch so many people’s lives because it was simply a story of a person wanting to fit in and belong somewhere. 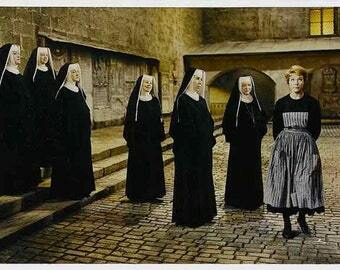 Maria did not fit in with her fellow nuns or with the captain’s elite circle of friends, but she was eventually able to find her place in due time. Maria’s plight to find acceptance is something that everyone can relate to on some level. Everyone has felt like they don’t belong at some point in their life, and seeing it up on a screen can be reassuring and provide a window for an audience to connect further to the story. This human truth of wanting to fit in has been weaved into countless classic films. From The Breakfast Club to Boys Don’t Cry, feeling alone and different from others is fairly common, despite its impression, and is a relatable truth for audiences of all kinds. For the sake of brevity, I will continue to focus on examples utilizing the particular human truth of belonging. This principle has been used to enhance stories told on countless other media platforms in addition to film. In fact, it was the crux of the Apple’s legendary 1984 commercial, which branded the newly formed technology company in the eighties. In the commercial (shown above), we see a woman standing out in a crowd of homogeneous business men, who were meant to represent the stuffy computer industry up until that point. This colorfully-clothed woman emerges from the masses and breaks the monitor controlling all of these soldiers. She embraced her individuality and bucked the stifled system that made her feel like an outsider. This story was so powerful because it showed how Apple was for consumers who felt like they didn’t belong. It also showed the protagonist assuming control and fighting back against her oppressors. In a time when computers were foreign to most and primarily used by stiff businessmen, Apple successfully differentiated themselves from their competitors and invited an entire new audience to feel comfortable embracing the new technology. This campaign exemplifies the power of human truths in storytelling. By utilizing universal principles, they gave their message a life of its own for each viewer that watched it.